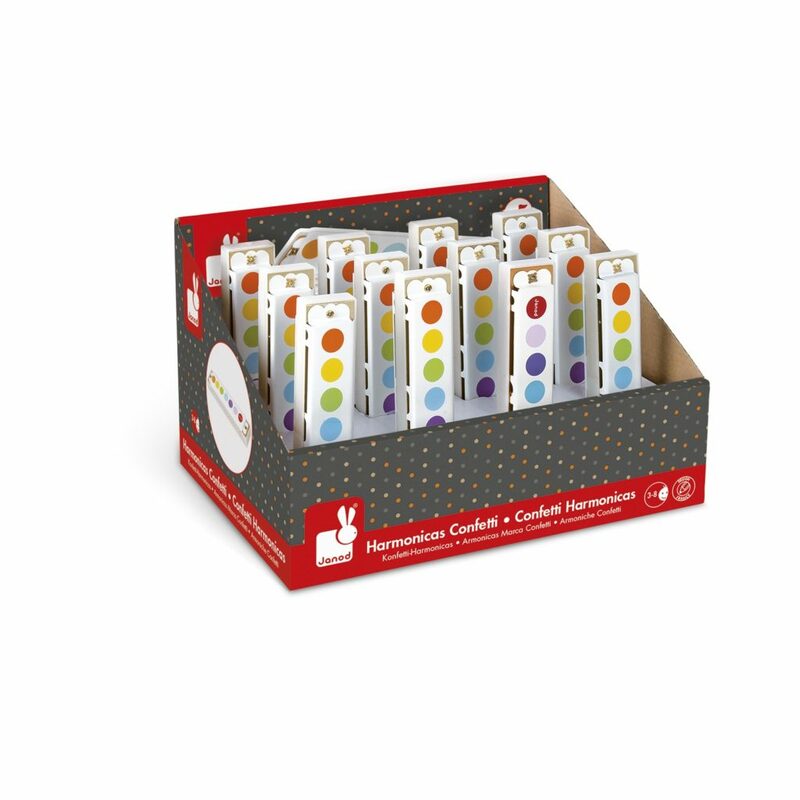 Children will love creating fun tunes and harmonies with this Confetti Harmonica from Janod. 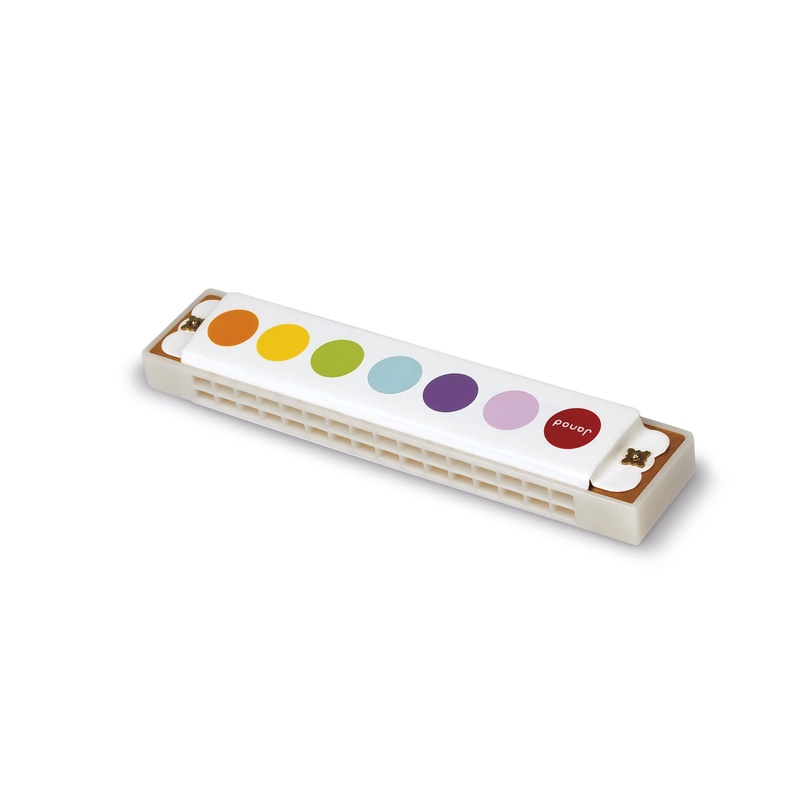 Decorated in brightly coloured polka dots this metal harmonica is easy to play and an ideal instrument for the budding musician. 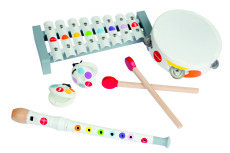 Perfect for introducing music to your little one and for developing listening skills. 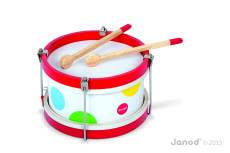 Take a look at some of the other musical instruments in the Janod Conetti range. Janod manufacture a range of timeless wooden toys and games that combine traditional favourites with contemporary design. The result, original and unique toys that are certain to become toy-box favourites, loved by one generation of children to the next. 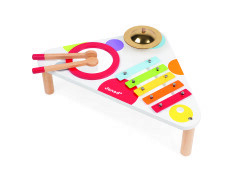 These colourful, well-crafted wooden toys are designed to inspire imaginations and encourage creative play. Located in Jura, France, Janod’s commitment to safe, ecological, natural toys, that meet all current standards and regulations, ensure years of fun in complete safety.